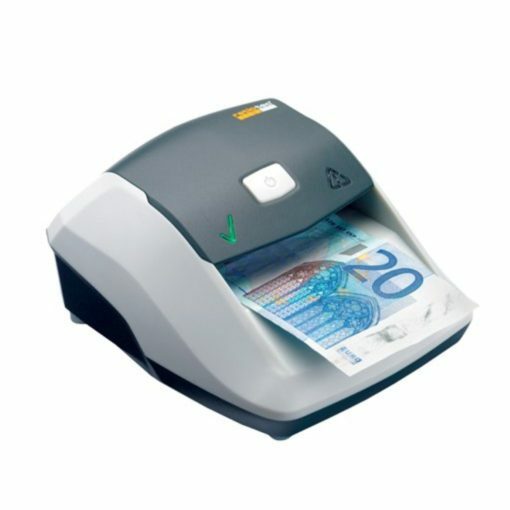 Clever and compact, the SB400 Smart is an ideal counterfeit cash detector for any retail or business environment. Large, clear lights on the top panel show whether a bank note is fake or not. 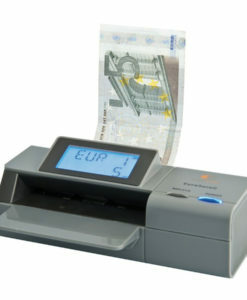 A warning sound also signals if a counterfeit is detected. With such ease of use, the need to train staff on recognizing a bank note’s security features is no longer necessary. An optional battery pack is also available which makes the SB400 Smart a fully portable device, ideal for markets, outdoor events or for larger retail operations with multiple tills. An anti-theft plate is also available, as is a wall mount.